These chairs are very nice and look 10 times more expensive. 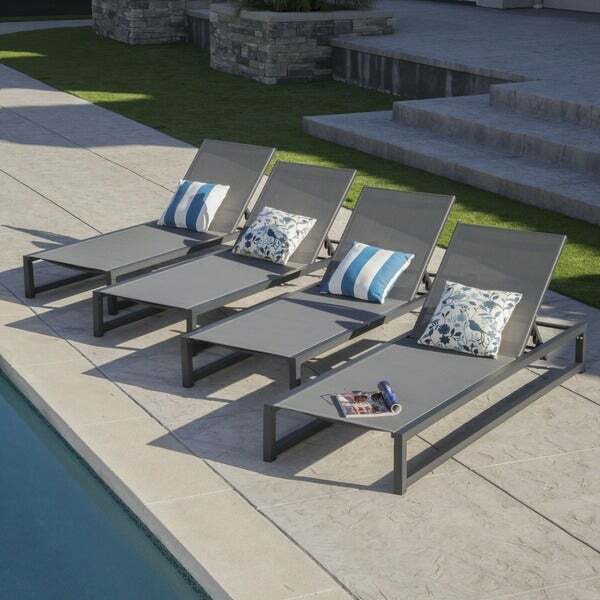 These classic chaise lounges, these fully-adjustable pieces give you everything you need to turn your backyard, patio, or garden into a resort. Designed to hold up to the elements. They is sure to give you years of quality use. "can the mesh be replaced?" Unfortunately, we do not sell the mesh separately.